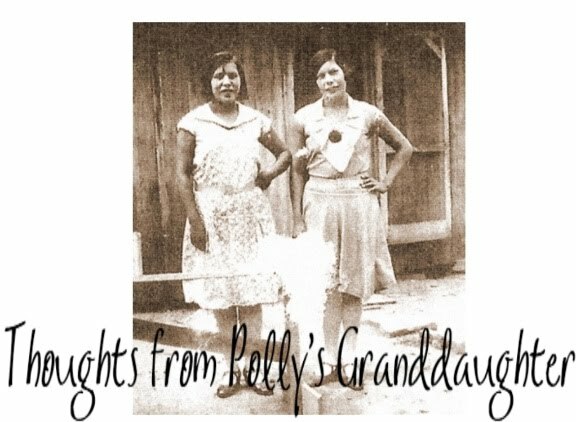 Thoughts from Polly's Granddaughter: You Can't Handle the Truth! Truth is non-negotiable. Either something is true or it isn't. Yesterday, I was apparently "taken to task" over "truths." Apparently we all have our own truths. Whaaaaaaaaat? Back up there, buddy! We all have our own truths? Are you kidding me? Fact is fact and fiction is fiction. In genealogy, we are supposed to be looking for facts, or I thought we were. But apparently not. 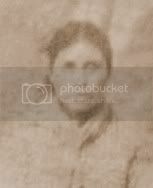 Apparently it is okay for someone to claim any old thing they want about our Cherokee ancestors, with no real evidence or documentation to support what they say, and that is all okay. Pay attention here, folks. Watch what is going on........Did you see what I just said? It is okay for someone to write whatever the heck they want and try to pass it off as Cherokee genealogy and nobody has a problem with it. If a blog in the genealogical blogging community does this, IT IS OKAY! That blog will be promoted, tweeted, and shared all over the place, no questions asked. After all, we all have our own "truths." What is not okay is for a Cherokee to take offense at that. What? Seriously it is not okay for a Cherokee to see it, point it out, and then say it was offensive. Don't believe me? Check out my recent interactions on Twitter. My tweet, "Promoting a blog that perpetuates myths about Cherokee ancestry is an insult to real Cherokee people," resulted in my being sent a nasty email and a later response on Twitter that included #bringit. Are you kidding me? Bring it? Someone who is supposed to be a genealogist, seeking to get their certification, is going to tell me to "bring it" over this Crane Eater thing? Seriously, are you freaking kidding me? Crane Eater and James Keith were not the same man. The evidence and documentation clearly show it. This is not about a fight, a battle or personal attacks. It is about the truth, the real truth, and not some work of fiction being passed off as the truth. Now if you want me to bring it, I can, but you better get ready because, to borrow some of your words to me, "I’m not a shrinking violet," and I'm "last person you want to #$%& off" when it comes to our Cherokee ancestors. You know there are some things that are very wrong here, yet rather than admit what you did might actually be offensive to Cherokees, you would rather attack me for saying it was offensive. That's fine. You made it perfectly clear where you stand on this issue. But, like it or not, Cherokees have the right to say all this wannabe hub-bub and the support and encouragement of it is offensive to us. That is our right and that is the truth. Oh, but I forgot, you can't handle the truth.